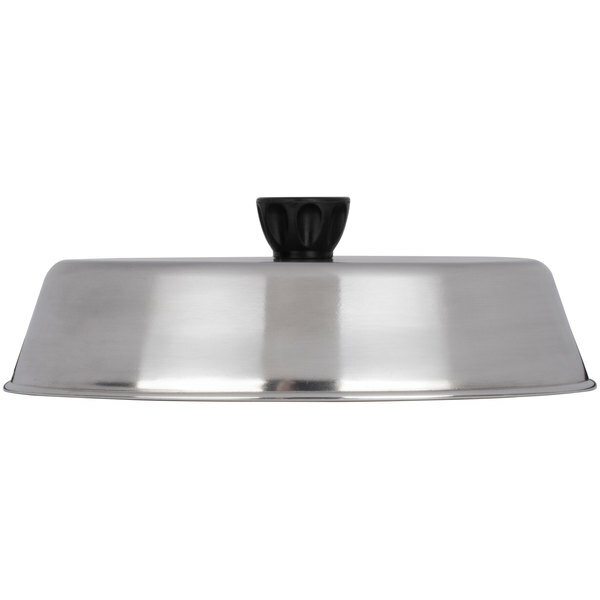 9 1/4" x 6 7/8"
11 7/8" x 8 3/4"
Evenly heat foods and reduce cook times with this American Metalcraft BAOV795S dome basting cover. 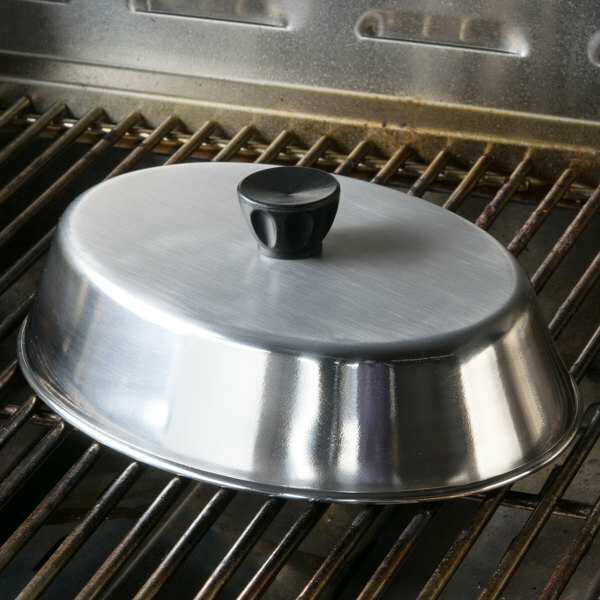 Perfect for your grill, griddle, or stovetop, use this cover to quickly and easily melt cheese on your juicy burgers or Philly cheesesteaks, or to steam vegetables to perfection. 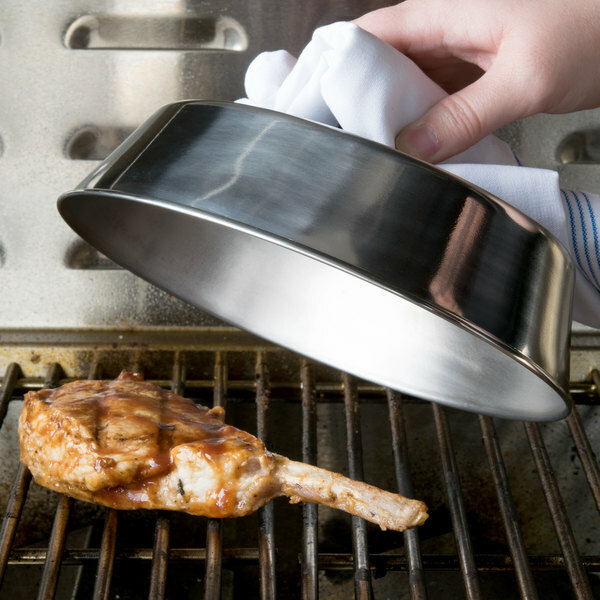 It will help keep foods moist and warm prior to serving, as well as prevent messy grease splatters from getting on your grill or stovetop, making it easier to clean and maintain your kitchen equipment. 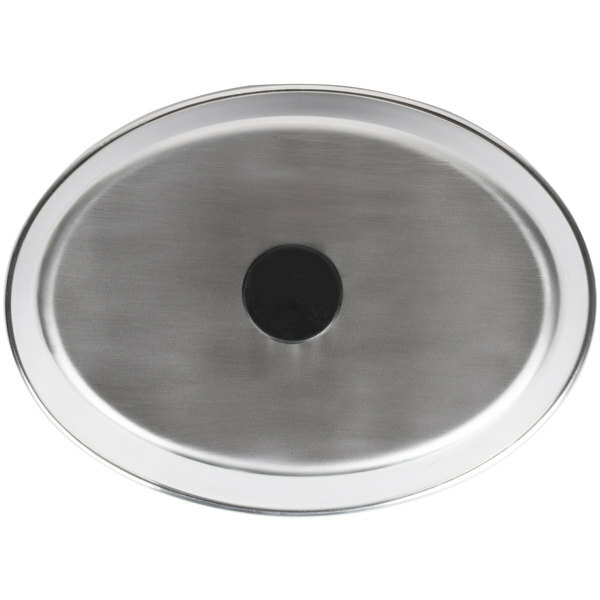 Made from sturdy, 22 gauge stainless steel, this heavy-duty cover resists warping for increased durability in your demanding kitchen and is easy to clean after use. 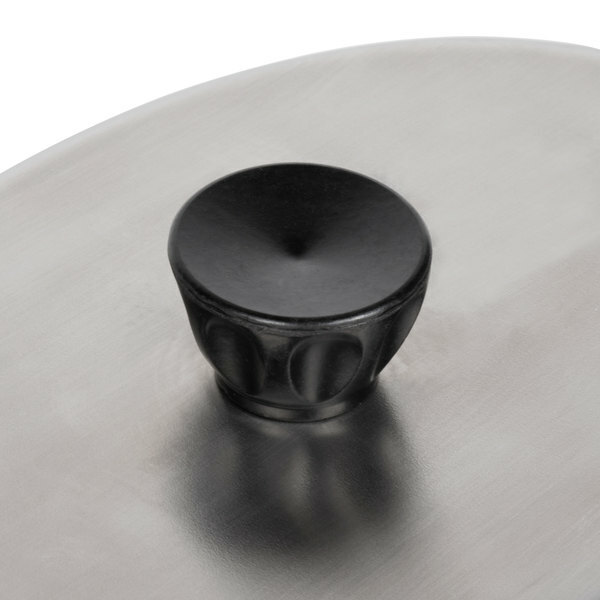 Plus, its included bakelite knob is cool to the touch to prevent burns and injuries in your kitchen. I use the oval basting cover more than any other cover. 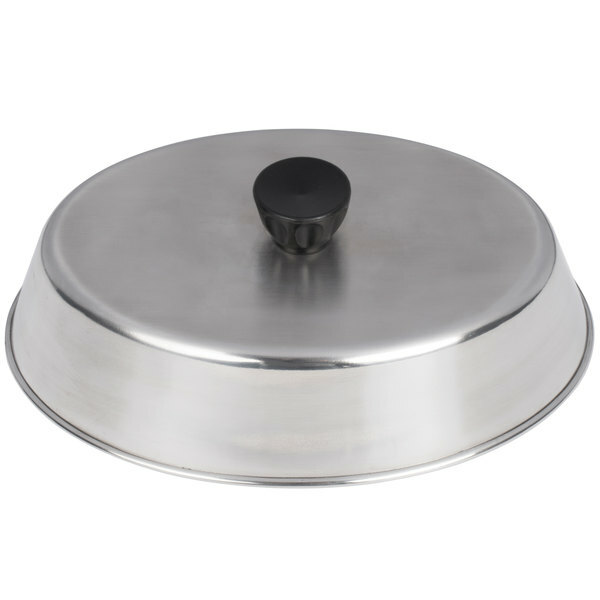 I use it for phillys, rolls, egg wrap bundles to melt the cheese. Just a squirt of water then cover.